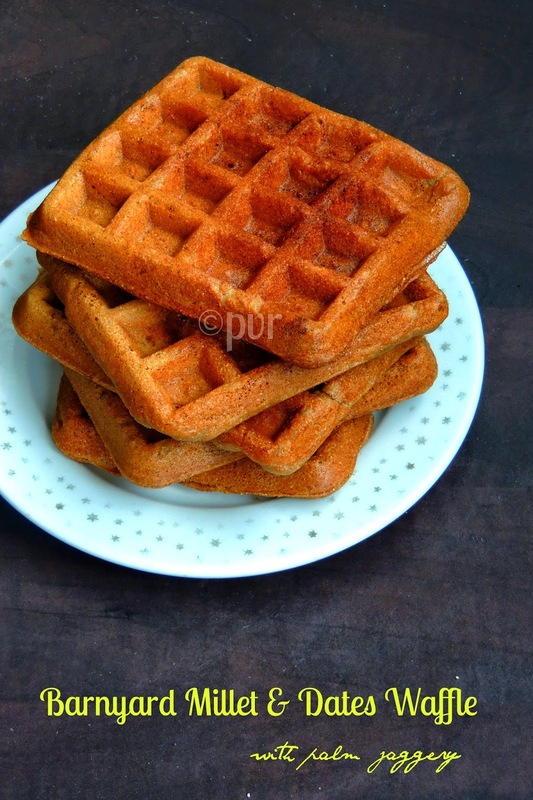 I have to say a big thanks to Veena for giving me these beautiful ingredients which pulled me definitely to think different, seriously am proud that this waffle join my list of my own creations actually my healthy innovations.If you dont know how to add this healthy barnyard millet aka Kuthiravali in your diet, give a try to this waffles, one of the easiest and definitely a better and best way to sneak. 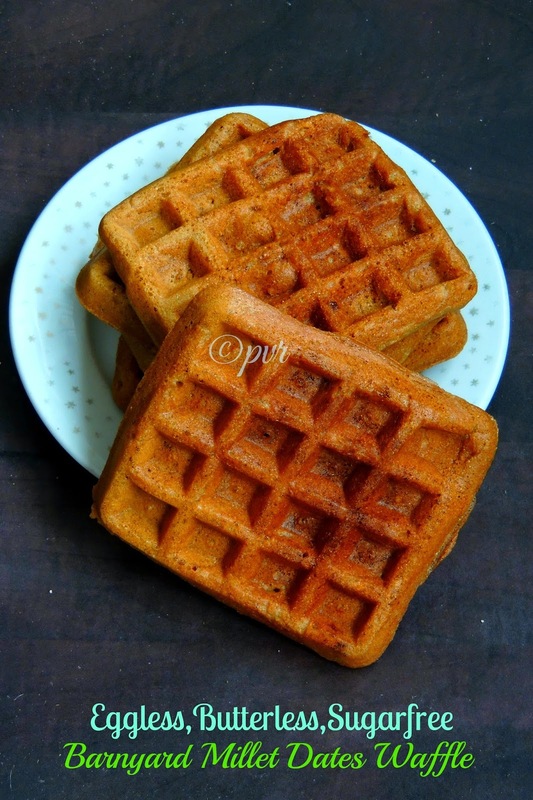 One can have this healthy waffles easily without any spread as they are already very well sweetened by the humble Palm Jaggery. Kids will definitely love this waffles if you serve them simply with nutella spread. How to prepare barnyardmillet flour: dry roast two cups of barnyard millets for few minutes, keep aside and let it cool completely. Grind as a fine powder, sieve the flour and conserve it in an air tightened box. Sieve together the flours and baking powder in a bowl. Mix the buttermilk and baking soda, keep aside for 5minutes,mix the palm jaggery syrup,vanilla extract,oil and chopped dates. Gradually add the wet ingredients to the dry ingredients and turn as a thick batter. So innovative and healthy waffles. Love to eat some for my breakfast. would not have thought of using millet flour to make waffles... very good idea. I have never had a millet waffle. They look awesome!